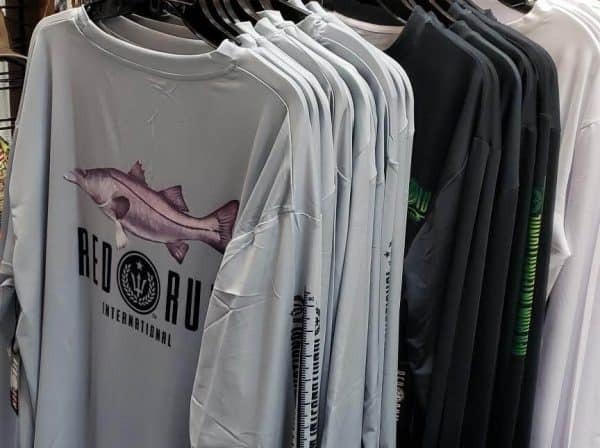 We are proud to announce that Red Rum –Shirts, Hats, Face Shields and more will now be available at Tampa Fishing Outfitters in sunny Tampa, FL! “This is a great addition to our retail chain as they are our first retailer located in the Tampa city limits, and not just out by the beach”, says CEO Daniel Del Sol. “Tampa Fishing Outfitters is the premier tackle and fishing outfitter shop in Tampa and we’re grateful to offer our gear here”. This is the best selection of Red Rum in Tampa. Tampa Fishing Outfitters is a tackle shop that carries over TEN thousand fishing tackle items, freshwater, fly fishing, inshore and offshore. With 5,400 SQFT of operating area, anglers can find the missing piece in their tackle boxes here. Tampa Fishing Outfitters is an ideal place for anglers who prepare everything during the weekdays, and are gone fishing on weekend. What’s your tackle box missing?